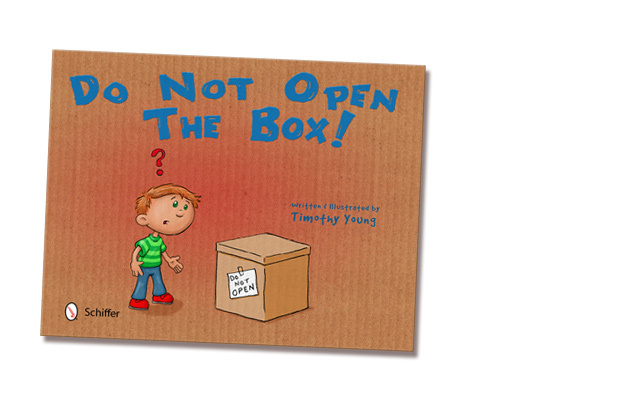 Author Visits, Books and Illustrations by Timothy Young - Creatures & Characters - Do Not Open The Box! Do Not Open The Box! is published by Schiffer Publishing. Size: 11	" x 8 1/2"